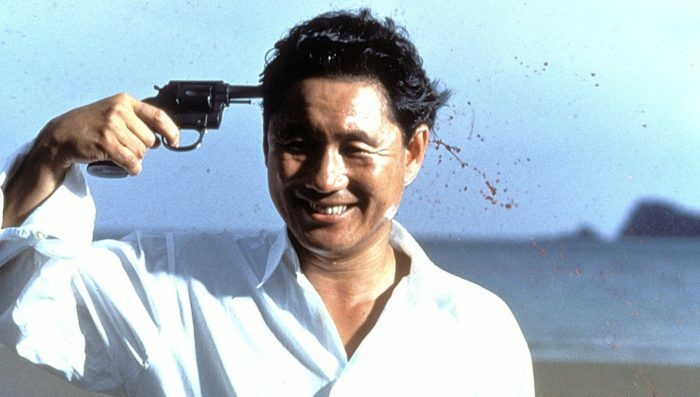 Sadistic Metal Reviews: Why Don’t You Just Kill Yourself? Thus spoke Matti Karki, one of the greatest voices in death metal, on the often boneheaded Indecent and Obscene. 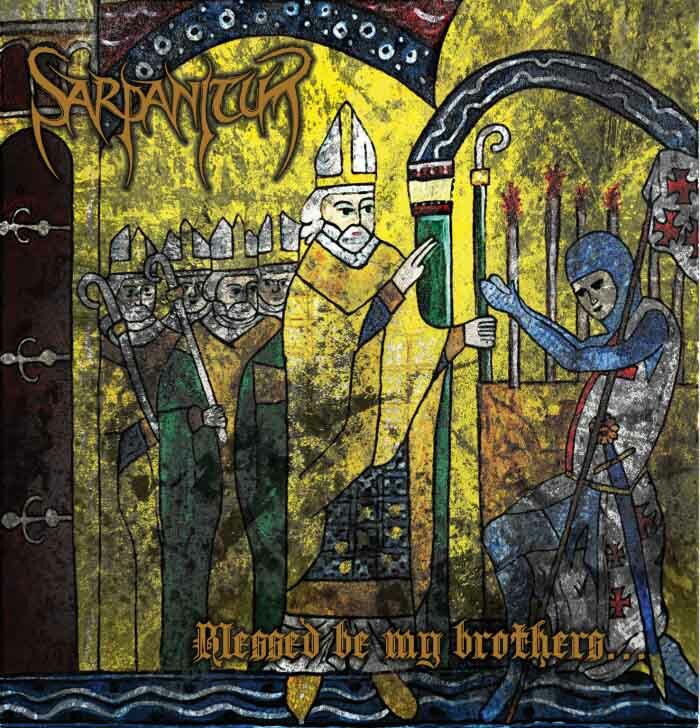 Sarpanitum’s Blessed Be My Brothers was one of Death Metal Underground’s rejected albums for the Best of 2015. The album initially showed promise. The introductory track, “Komenos”, presents the audience with Sarpanitum’s combination of chromatic death metal riffs, melodic heavy metal leads, Unique Leader Records brutality, and Emperor-like use of a melotron to approximate medieval polyphony to anchor the concept album’s theme of the Crusades. “By Virtuous Reclamation” surges forth with soaring, harmonized guitars calling for the conquest of the Holy Land continuing into an Immolation style rhythm riff. A break starts the counterpointed dissonant riffing in the Unique Leader style that variates logically enough for Pope Urban II to call for crusade against the heathen Saracens with a metalcore scream, providing a harbinger of the randomness to come. The band returns to the opening riff minus the accompanying lead. The lead’s eventual return signals the start of the Emperor melotron. A sudden slowdown for a cheesy emotional solo continues into the original riffs, climaxing into a polyphonic blend of every musical element and texture. The song barely avoids falling on its face on the way to to the finish line. The second real song, “Truth” opens directly with Unique Leader riff salad. The Emperor worship is only to plant listeners in a Western European medieval mindset to distract them from the fact the tension built up by the dissonant riffing is never appropriately resolved. The emotional stadium rock solos are just as disconnected from the death metal as the Emperor aping. “Glorification Upon the Bones of the Sundered Dead” better glues the riffs together but still resorts to emotional, Slash-style solos to impart the triumph of the Siege of Jerusalem. If Blessed Be My Brothers had ended there, it would have been a disparate but listenable concept album. Instead Sarpanitum use the second half to tell the Muslim side of the later Crusades through similarly flawed but less effective songs. This isn’t just a 180 degree change in perspective: the band added another of their heavy metal heroes to the blender. Ersatz Gorguts riffing plus even more masturbatory glam rock solos leads distract from the effective atmospheric and brutal elements. The songs turn even more so into senseless technical deaf metal with Emperor rendered down into pop hooks. The drastic changes of viewpoint and influence betray the album’s semi-successful first half. The atmosphere of Western mysticality established using Emperor to approximate a polyphonic medieval choir is wrecked by the hippie drum circle interlude, “I Defy For I Am Free”. Blessed Be My Brothers is a postmodern, apologetic Frankenstein. Wikipedia “neutral point of view” metal for meek liberals is antithetical to Emperor’s classical triumph and heavy metal’s “Compassion is the vice of kings: stamp down the wretched and the weak,” virtus. Better yet, just listen to In the Nightside Eclipse again instead. While I wait for a review of Sarpanitum’s Blessed Be My Brothers to make its way through the review queue, another Leon Macey project is making its way towards fruition. Mithras is an approximate descendant of Steve Tucker era Morbid Angel that presumably gets most of its media attention for throwing in some occasional melodic and muddy atmospheric sections. The upcoming On Strange Loops is the first new material from this band since their 2011 EP Time Never Lasts. Today’s track sounds about like what you’d expect from Mithras, which should make extrapolating whether you’re going to be interested in this band a trivial task.